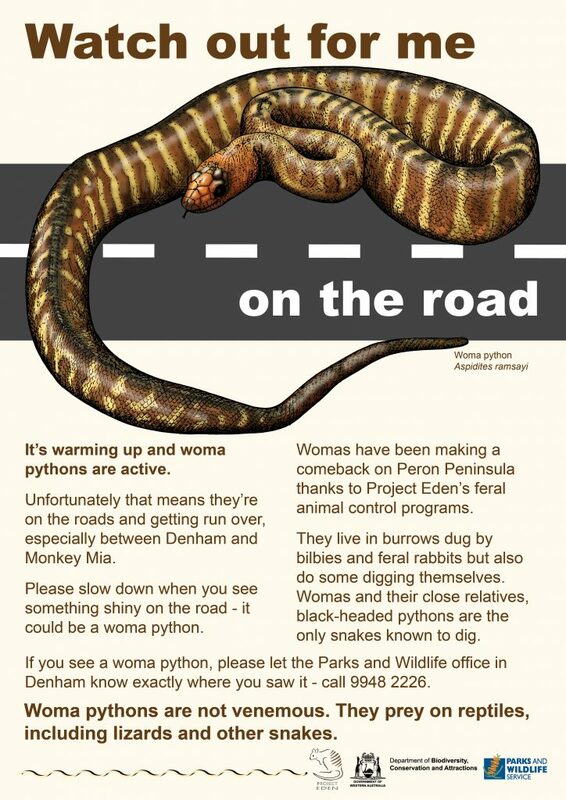 It’s that time of year when woma pythons wriggle across the roads. Unfortunately three have already been run over between Denham and Monkey Mia. Please look out for these beautiful snakes on the road.